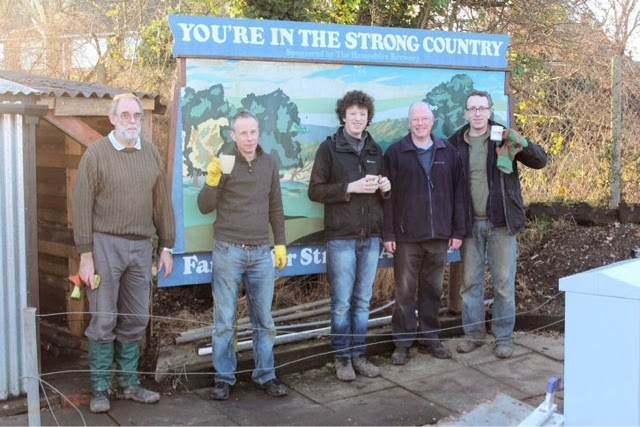 On the 26 of December, the members of Romsey signal box turned up to 'make their move' on the shed. 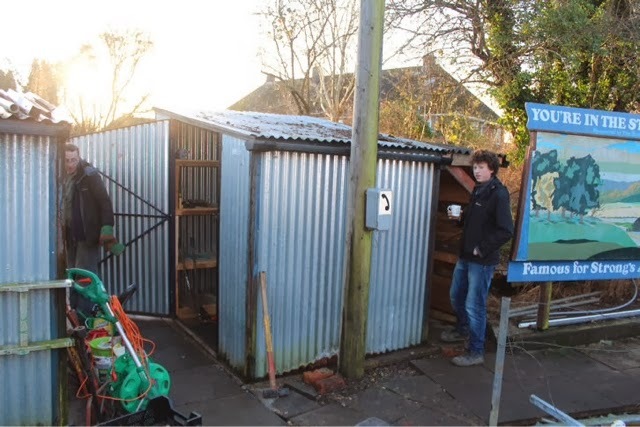 The shed needed to move to allow the construction of the new building which will not only house Cowly bridge junction, model signal box, but will be our meet and greet building. In the month leading up to the move, members Gavin, Jamie, Ray, Keith, Dave, Neil,Peter and Tom spent time moving the compost heap, clearing the area, then levelling and paving it ready for the big day. After forgetting how the shelves had come out, then trying multiple combinations, the shelves were finally reassembled and the shed was almost ready to be reloaded. ﻿﻿ Following a bit of elbow grease and alto of lifting, the very heavy lean-3 was finally positioned alongside the shed ready for re attachment, once this was completed the movement was complete. 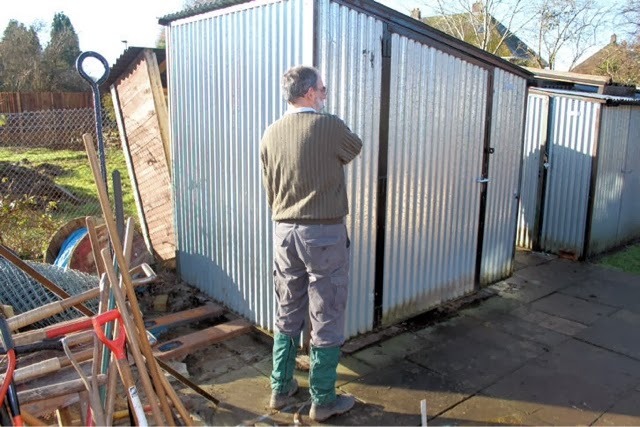 The members could now breath easy as the shed was repositioned and all that was left, was to sort through the contents of the shed, decide what we wanted to keep, and then reload the shed. So, now Romsey signal box can now proudly, we have the most travelled shed in Hampshire, if not England. 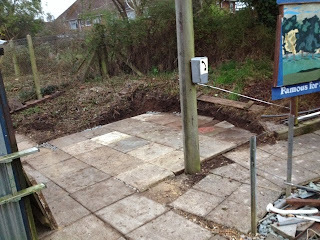 Laying down the foundations and a lock out ! Even before the day started, we had problems. 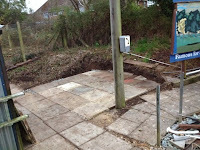 Due to the progress on the site, we will be loosing access to the site via the main gates (on the main road) in January. 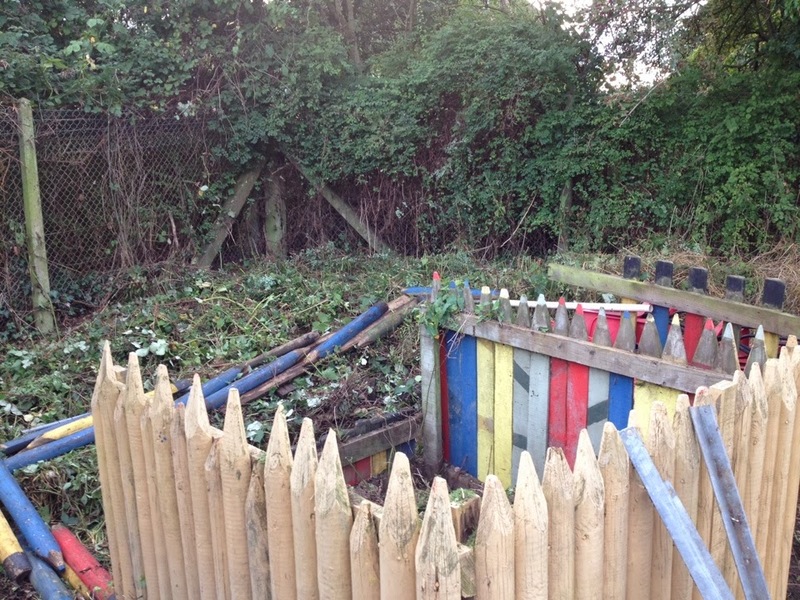 However, Christmas seem to have come early as the gates were already padlocked shut by the contractors. 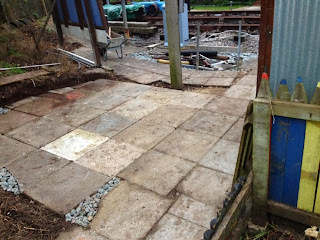 Therefore, we only had pedestrian access to the signal box today. We would like to take this opportunity to apologize for any inconvenience caused by today's events, but it was outside of our control. 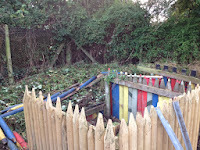 before, the shed has to move to allow the building of the cowly bridge housing. 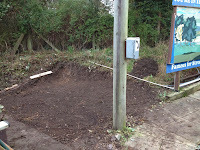 After many month of perpetration involving cutting of brambles, moving of the compost heap and many barrows of soil, the ground could finally be leveled and slabs laided. The actual shed will be moved at a later date, but this progress would not have been possible without help from Gavin, Jamie, Keith, Dave, Ray and Tom.Also today. 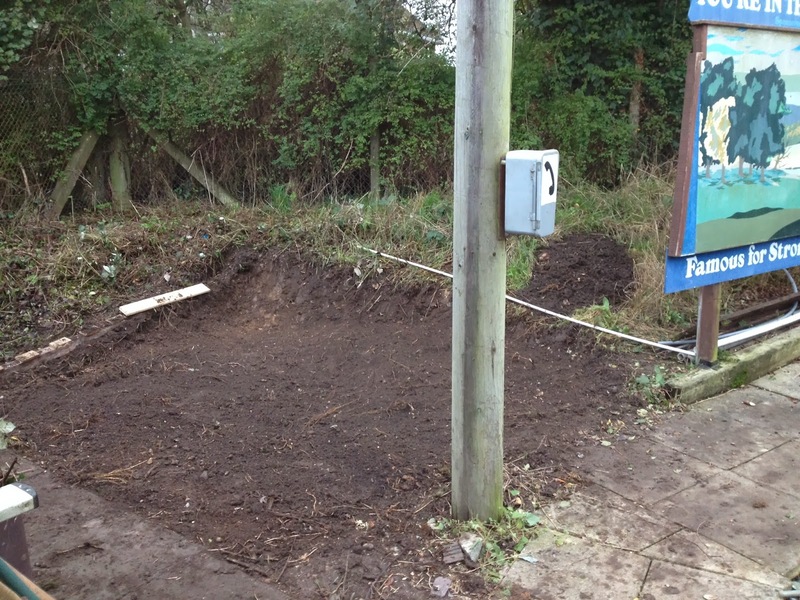 Neil worked on the vegetable plot by turning in leaf molsh. Later next year, rhubarb will be planted closely followed by runner beans.George and Jamie sorted the BBQ and supplied food to the members. And Dave provided some (a whopping 36!) scones which were a great way to end the day along with Keith's delicious Victoria sponge and Jamie's muffins. The day ended with the members grouping round the fire and having a cup of tea and a cake looking back on the signal box's progress from being just the signalbox, to today, where many active members come on a monthly basis to maintain the box which now has some beautifully maintained gardens and artifacts. 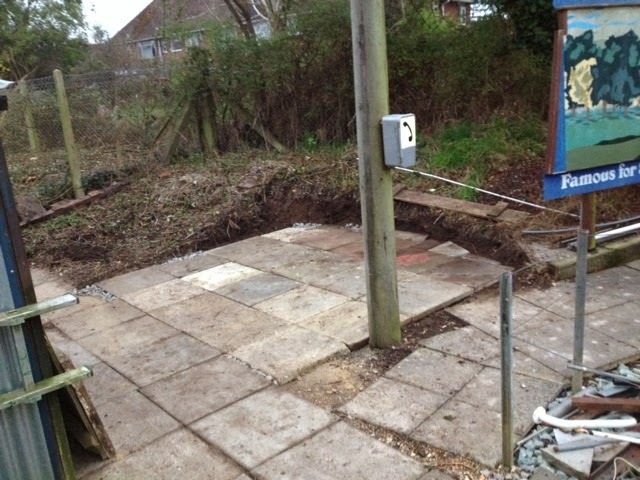 It is these members that have allowed this progress to take place and means that we do not have to spend open days just getting the site tidy, it is self maintained. But of course, none of this would be possible without the generous donations and presence of the visitors that come to view the box. We would like to thank you for visiting throughout the years and look forward to opening for the arts festival and the big re opening in 2015.